Are Negative Interest Rates Coming to US Community Banks? Negative interest rates are a confusing topic and they may be heading to the U.S. this year. Many Americans ask what they mean and why this is all happening. Since 2014, leading European central banks have initiated 'negative interest' policies as an economic stimulus measure by means of large government-issued or sovereign bond activities. Negative rates begin where major buyers of low-risk government bonds agree to accept a return less than their original investment when the bonds mature. Since Government bond rates are the bellwether for corporate bond rates, these once-improbable 'negative interest' bonds soon become a major influence in major bank bond portfolios. The Federal Reserve and U.S. banks are now looking at them. The policy goal of negative rates is to help stimulate the economy by influencing the day-to-day operations of commercial banks as financial intermediaries. Whether it is in Europe, Asia, New York or Los Angeles - commercial banks have long performed the fundamental role of matching savers and depositors with borrowers. Negative rates are expected by policy-makers to modify this historical model by encouraging more lending and by discouraging savings. In normal operations, commercial banks of all sizes accept deposits and then re-deploy those deposits in two basic ways: 1) they lend most of their funds out to businesses and individuals, and 2) they invest the remainder in bonds - usually low-risk government bonds and large highly-rated corporate bonds. In the US, an average bank will dedicate about 75% of its available surplus deposit funds toward loans and 25% toward the purchase of low-risk (and low-rate) bonds. A bank will usually earn far higher yields on its loan portfolio than from its bond portfolio. In normal times, a bank will therefore usually want to deploy more of its earning assets in loans. In times of pending economic slowdown (now emerging across the globe) a bank would normally shift toward investing a higher percentage of its surplus funds into 'safer' low-risk government and corporate bonds - rather than make higher-risk loans - as the economy weakens. But in an emerging negative-rate environment, the bank is mathematically 'penalized' if it remains invested in low-risk bonds - because it will realize either super-low or even negative yields on many bonds. Thus, in an emerging world of negative rates, banks will have an even more challenging task in balancing profitability and soundness/safety issues. Since the days of Adam Smith, the founder of modern capitalism, bank lending has been viewed as 'the grease of the wheels of commerce' in the economy. A borrower with a new loan uses those funds to buy equipment, and the equipment seller is thus able to hire more staff, and so on. Negative rates strike at the heart of the decision-making process for any bank which becomes reluctant to make new loans. By 'forcing' banks to lend to businesses rather than invest in unprofitable bonds, negative rates are expected to produce stimulus via increased lending activity. More lending activity also accelerates the 'turnover' or velocity of the money supply, which is a parallel goal of economic policy in a slowing economy. However, negative rates clearly influence multiple sectors in unusual ways. They effectively penalize banks which do not lend enough to businesses and individuals in their markets, and they also penalize depositors and savers. At the same time that a bank's management sees that it must choose to make more higher-risk/higher-rate loans rather than invest in low-rate (or negative rate) bonds, bank depositors also see low or negative rates on their CDs and MMAs. The average depositor is faced with the prospect of effectively paying negative interest 'rent' just to have an account, instead of being rewarded for savings. In this regard, negative rates encourage spending over saving, and thus they may pave the way for the advent of a theoretical 'cashless' economy. Significantly, the European Central Bank and former US Treasury Secretary Lawrence Summers have recently called for the abolition of large-denomination E500 and $100 bills within the European and US economies. Negative rates have virtually no measurable precedent in history, and so the long-term impact is not yet fully clear. Within academia, there are still no current textbooks on the effects of negative rates, and even John Maynard Keynes, the legendary architect of much of the current global monetary system, did not address them in his published works. Since 2014, negative rates have now captured over 40% (more than $2 Trillion) of the European sovereign bond markets, and the central banks of Sweden and Japan have announced their intentions to adopt expanded negative rate structures in early 2016. On February 12, Federal Reserve Chairman Janet Yellen also acknowledged that the U.S. Fed will keep open the option of pursuing negative rates as a means of further stimulating the US economy. Should this happen, it will constitute a dramatic reversal from the Fed's widely anticipated December 2015 initiative to begin raising rates for the first time in many years. As noted, the linkages and consequences of negative rates in Europe are now better understood, and the market is 'learning by doing.' The Basel-based Bank for International Settlements, also known as the 'central bank for central banks,' noted in 2015 that it is closely monitoring the effects of negative interest rates and expanded monetary policy options across Europe. The Fed has noted negative rates are under active consideration in the U.S., and they may surface among U.S. banks as a new economic stimulus measure. 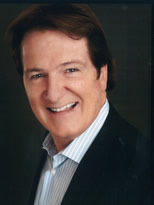 Douglas E. Johnston, Jr., is a C-Level executive with national experience in the core development of five 'best in class' companies in five different industries including Mergers & Acquisitions, Commercial Banking, Nationwide Commercial Real Estate, Consumer Products Manufacturing, and Media / Entertainment.